We live in a world where electronic devices give us mastery over time and space. We should be using this new-found power to enhance our lives. However,this vast multiplication of efficiency is an open invitation for some to construct giant corporate machines, where employees fit like cogs into a system driven by artificial intelligence. 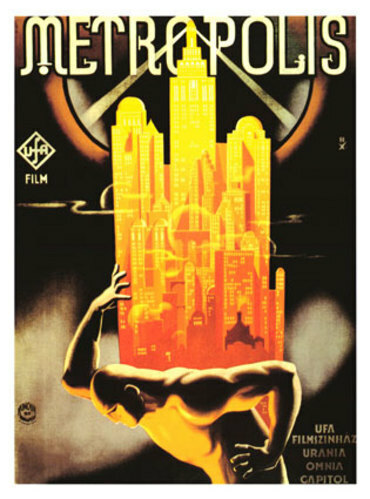 We need to turn the tide and press hard for the humanization of industry or we will surely attempt to recreate the grim world imagined by Fritz Lang in Metropolis (1926). This 80-year-old silent movie still has an enormous impact. You can read about it here. People who do not learn from the past would use the tools that give us immense power to monitor our every move and to evaluate our actions. These seekers of mechanistic truth have lost sight of the human spirit. The human spirit functions poorly in captivity. The more it is constrained, the more it resists. When it is forced to be a mere cog in a machine, it eventually goes insane and the results are disastrous. George Orwell’s 1984 captured this admirably. Fortunately, there are some enlightened leaders who recognize that people perform best when they are free to make choices and don’t work well as mindless cogs. Accordong to Stuart Berman, Toyota is enlightened and is leading the charge in lean thinking, creating better product economically, and in a sustainable manner. management can be a passionate and noble profession, when done well. We need more like her to teach that leadership as an opportunity to enoble rather than to degrade others. We need more attention from the blogosphere on ways to humanize the working experience. I agree with his conclusions. We need to keep the pressure on by discussing real alternatives to ever-expanding cubicle farms. Farmers have found that chickens do better ranging free than when they are cooped up in tiny cages where their beaks must be removed so they won’t kill each other in their insanity. People in cubicle hell need the same enlightened solution: fresh air and sunshine with 8 hours of work in a pleasant environment. That’s not too hard to imagine. When it is so obviously a boost to real production, one has to wonder why there is so much resistance to this from some quarters. We can do better. If not for ourselves, then for our children. The technology involved with corporate change is the easy part, what is extremely difficult is changing corporate culture. The biggest challenge to changing a corporate culture, and thus, the organizational structure that holds it up is the ability for “change” to be not only encouraged by the organization, but required. For example, we were once a traditionally hierachial, localized and stratified organization where everyone squabbled over “who got what office”, and no manager of any consequence encouraged anyone to “work remote”. The division director was anxious to transform the organization into one that was no longer “regional” but “Global”, and to do that, he had to get people to stop thinking about where they were and instead start thinking about where the customer was. He then devised a plan to change culture. He told all the managers that their cost to their departments bottom line just for cubicles would go up by 300% that year, offices and conference rooms up by 500%. Suddenly every manager went out of their way to ensure that everyone who could work “remote” did so, and those that could not, were transferred out as soon as possible. It soon became anathema to even consider having any office space at all. You would no more consider spending money maintaining office space than you would consider spending money on a lavish christmas party. What the division got out of this one rather small “culture change” was a dramatic increase in productivity and at the same time a dramatic lowering of cost to the company bottom line. While those things were expected, what was unexpected and just as important if not more so was the dramatic increase in employee and division morale. The Director of the division had accidentally discovered a way to give employees a substantial raise in real wages( zero commute costs – add up your cost of commuting some time, it will shock you), while also dramatically improving their quality of life, for almost no real cost to the company itself.Employees were free to move where their heart desired and were no longer chained to a particular corporate office building somewhere. By having employees spread out over many many timezones and countries, customer service soared, while the number of hours worked by each employee stablized. The technology to allow “remote work” is already in place, but what most companies lack is the culture to allow it to go into practice. For example, many mid level managers feel that unless they can actually “see” their people at work, that they will not. In reality, when an individual works “remote” they tend to work more than they do in the office and they are vastly more productive as they spend very little time in the daily office gossip and timewasting activities that make up so much of office life. What is needed for most companies is a set of management metrics that will allow managers to measure the effectiveness of the people that report to them by means other than watching when they come through the front door. The transformation of managers from “people managers” to “project managers” is one of the many things that change as a result of the “remote work” revolution. The days of standing by the punchclock are over. (True story: When I started working remote in another division within the company, I was faced with a very difficult manager who was on the east coast and was convinced I was not at work, and wanted me to drive 150 miles to company offices in the bay area each day just so he could be sure I was working. I offered instead that I would install a webcam in my home office that would allow him to see when I was at the “office” anytime I was there. All he had to do was go to his browser and bring up the link with my webcam on it, and he could see exactly what I was doing. He gave me a month to prove it as a working model. Thanks for the anecdotes. We are truly in the midst of a sea change in the global workplace. Corporate dinosaurs squawk feebly as they are drowned out by the rushing torrents of new media conversations. The din they don’t hear carries billions of messages between people they can no longer reach. Blogging is the first scalable conversation and it carries the same credibility as talks you have with friends. These conversations and a distributed workplace can change the world quickly. It’s about time. It seems that you all forget that work is about meeting people! When we go to pray (each religion has it’s own pray house) we MEET! off course you can pray with your TV or PC or Book, but people like to GETHER and feel TOGETHER. To work from your home is good as a business or as a supplement to going out and MEETING people. I’ll sum it up by saying that I hate working long hours without sun and fresh air, but working from home is low on the social side. We’ve had several discussions about the social aspects of working from home and the home-workers seem to have the advantage. Are micro-businesses socially isolated? should tell you more than you care to know about the joys of our “isolated” life in the hinterlands with our families and friends from “all over”. The nice thing about this life is there is always room for more of you to join us. When you tire of cubicle life, come out and breathe free. There’s LOTS of room out here! Keep in mind that the impact of remote work affects even those who cannot do it. Imagine the impact to modern life if just 25% of the people who currently go to an office, suddenly stop. What is the impact to traffic? What is the impact to gas prices? What is the impact public policy? Since the start of the industral age, people have moved from their farms to the city, for no other reason than that is where the work – and therefore the money is. Now, if where you live has nothing to do with where the work is, what is the impact to home prices? If you could take your job with you, would you choose to live where you are today, or did you choose to live where you are because of access to work? now, let’s say you do nothing while others do increasingly choose to work remote, what is the impact to you in your life? Truth be told, the economic effect of “working remote” has already impacted your life. Corporate decision makers in the late 1990’s have used the existance of the internet against you by “outsourcing” many jobs to foreign countires. What the “work remote” or “homesourcing” revolution can do for you is give you back a competitive edge in the global marketplace. Why move work all the way to India when you can have the same impact by having an increasing number of your employees “work remote”. The company keeps their highly trainined, flexible workforce, and the employee gets a huge increase in quality of life. Its not a bad option when you consider the alternatives. I do agree that business is about meeting people, but let’s not assume that working remote means that you necessarily work less with other people and are more isolated. This is a common misconception about “working remote”. I would say in my daily work I work more closely with more people in my current role than I did when I was at a traditional office, its just that the medium that we work in is different. I work with a wide variety of people around the globe and while I cant physically touch the people I work with as the nearest person in my group is 800 miles from me, and the furthest is in Melborne Australia, in many ways I work closer with them than we did when we were all in a standard modern cubicle farm. The existance of Web tools such as Collaboration software, instant messenger software, webcams and enhanced telephone services all riding on the backbone of cheap and affordable residential broadband has made this all possible. The impact on all of our lives, whether we choose to work remote or not, is simply staggering. The need for business to remain competitive in a global marketplace will have many impacts on everyones life. Homesourcing is just one way that both employer and employee can benefit. The Macro effects from this process will cause changes to life everywhere. This is dynamic world we live in and outside of Amish country, there are no bubbles of static never-changing reality. The Amish have a lot going for them but lets be serious, they dont have a lot of people standing in line to join, and theres a good reason for that. While everyone wants to talk about “the good old days”, no one really wants to go there, unless its just for a weekend. We can no more return to the office life that existed in 1980 than we can join the Amish. We live in the here and now, and that is very, very different indeed from the corporate world of the 1950s or the 1980s. This discussion really touches on the lack of acceptance of the needed changes – the fear of losing the personal interaction combined with cultural resistance. I contend that it is very difficult to create and grow a relationship wholly in the virtual world. When a salesman is trying to build a relationship in order to sell us a premium service or product he often arranges to meet us in person. If I don’t have a strong interest in his wares then I refuse to meet. There are some conversations that require me to get on the elevator or drive across town – the phone just won’t do. There are key moments that simply require human face to face presence. But these are moments not endless meetings. This becomes one of the problems to solve – how does the culture change to allow those moments to occur (without the snap-your-finger convenience of meetings on a whim because we all happen to be in the same location). The insidious problem with this model is that those who aren’t “at headquarters” are really shut out today and they know it. 1) Project meeting spaces where teams that must work literally together do so for a defined and limited period. 2) When you and I need to meet we do it ‘offsite’ at a place between our work spaces. 3) Regular team or group meetings (perhaps monthly) to recognize our accomplishments and share our stories. Some relationships are of premium value we should treat them that way. This can be very economical as we shed the wasted overhead. I think that there is another factor that all of us forget. The economy is not all about people sitting next to a PC… People manufacture… and these things needs heavy equipment. The personal computer started in the 70’s in america and in the 80’s or 90’s in the rest of the world. So it is still a new thing. The internet is even newer. So, some things have already changed, but some things will not. TITLE: Progress with a Price?